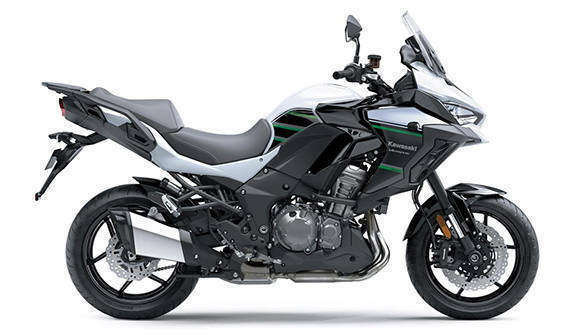 The Kawasaki Versys 1000 has not really taken off despite the rising demand for adventure touring motorcycles in India, but Kawasaki has just launched the updated, 2019 version of the bike, also giving it a significant price cut of nearly Rs 2.5 lakh. The 2019 Kawasaki Versys 1000 is on sale in India now, priced at a far more inviting price of Rs 10.69 lakh ex-showroom New Delhi, as opposed to the previous version's ex-showroom price of Rs 12.91 lakh. The price cut is courtesy of the fact that Kawasaki India will now assemble the motorcycle in India as opposed to importing it via the more expensive CBU route earlier. This makes the Versys 1000 a more attractive proposition if you are in the market for a full-sized, litre-class adventure tourer. In fact, Kawasaki India had started accepting bookings for the motorcycle in November 2018 itself. Kits of the bike will be imported from Thailand for assembly at Kawasaki India's manufacturing and assembly unit at Chakan near Pune and deliveries are slated to commence next month, in March 2019. As part of the update for 2019, the Versys 1000 gets LED headlamps, a revised fairing design which makes for a chunkier appearance and now sports the 'family look', similar to the recently launched 2019 Kawasaki ZX-6R. 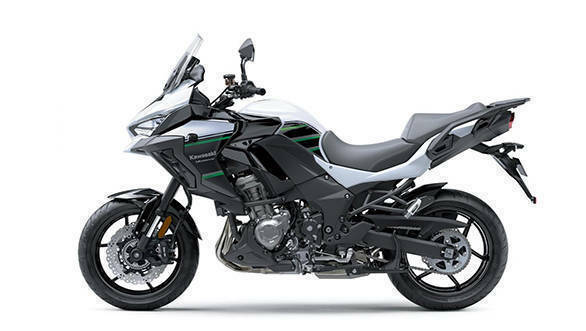 The bike will be offered in two colours, white and black and it is interesting to note that the Versys 1000 is not being offered in Kawasaki's trademark green colour. The 2019 Versys 1000 also gets a revised instrument cluster now, which looks similar to the one seen on Kawasaki's high performance touring machine, the Ninja H2 SX SE and integrates a full-sized analog tachometer flanked by a large TFT display on right to offer vital information. The new instrument cluster looks a lot more appealing than the older one and adds some much-needed flair to the bike's dashboard. The Versys 1000 continues to use an aluminium twin-spar frame for 2019. An important change though is the repositioned linkage for the rear monoshock. That said the suspension setup remains the same, including 43mm upside down forks at the front and a gas-charged monoshock at the rear. The powertrain remains unchanged as well and like before, the 2019 Kawasaki Versys 1000 is powered by an in-line four 1043cc engine which produces 120PS and 102Nm of torque, which is the same engine that also powers the Kawasaki Z1000 and Kawasaki Ninja 1000. Braking duties are handled by twin, semi-floating 310mm discs and four-piston, radially mounted monobloc calipers at the front along with a single piston caliper that grabs a 250mm disc at the rear. A major change for 2019 is also the addition of rider aids including Kawasaki Traction Control (KTRC), Electronic Cruise Control, Anti-lock Brake System (KIBS), Electronic Cruise Control and Kawasaki Cornering Management Function (KCMF) which essentially monitors the chassis and the engine parameters and governs brake force and acceleration through out the corner. The bike is equipped with a taller windscreen now which is adjustable manually. In terms of competition, the Kawasaki Versys 1000 takes on motorcycles like the Ducati Multistrada 950 and Honda Africa Twin in India, both of which use twin-cylinder engines.